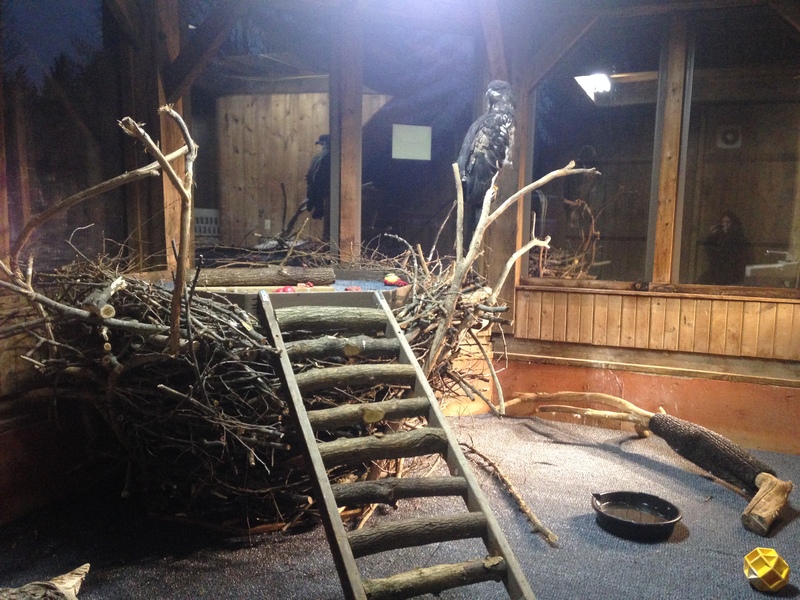 Emrys the Bald Eagle came to TreeHouse Wildlife Center in Dow, IL in March of 2015. 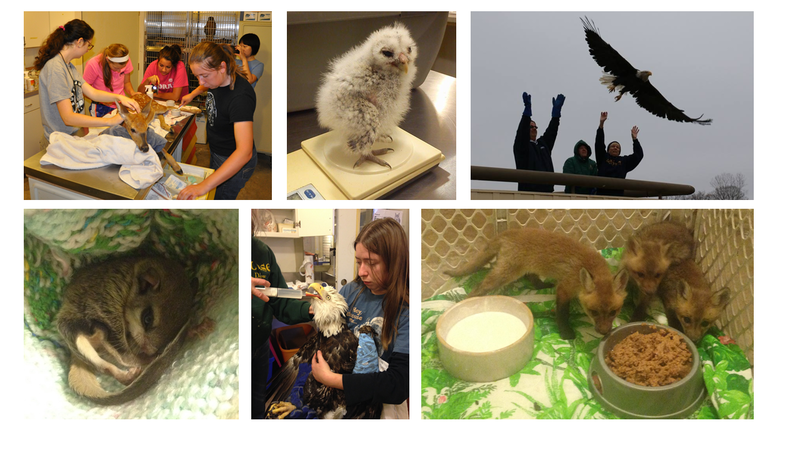 To celebrate one year of TreeHouse's first education and outreach bald eagle, we're launching this campaign to raise funds to help injured and orphaned wildlife! TreeHouse Wildlife Center is a 501c3 non-profit wildlife rehabilitation center located in Dow, IL about 30 minutes north of St. Louis, MO between Alton and Grafton, IL. Our mission is to rescue, rehabilitate, and release injured and orphaned wildlife. We also work to educate the public about the importance of wildlife and conserving the environment. Last year we admitted over 700 native wildlife patients and we anticipate that we will top that amount this year as more and more people are becoming aware of our mission. Emrys the Bald Eagle was admitted to TreeHouse last March after being hit by a vehicle in Salem, IL. Unfortunately, he received a permanent injury to his right wing and can no longer fly. TreeHouse has many non-releasable birds of prey that are trained for education and outreach but we had never trained a Bald Eagle before. 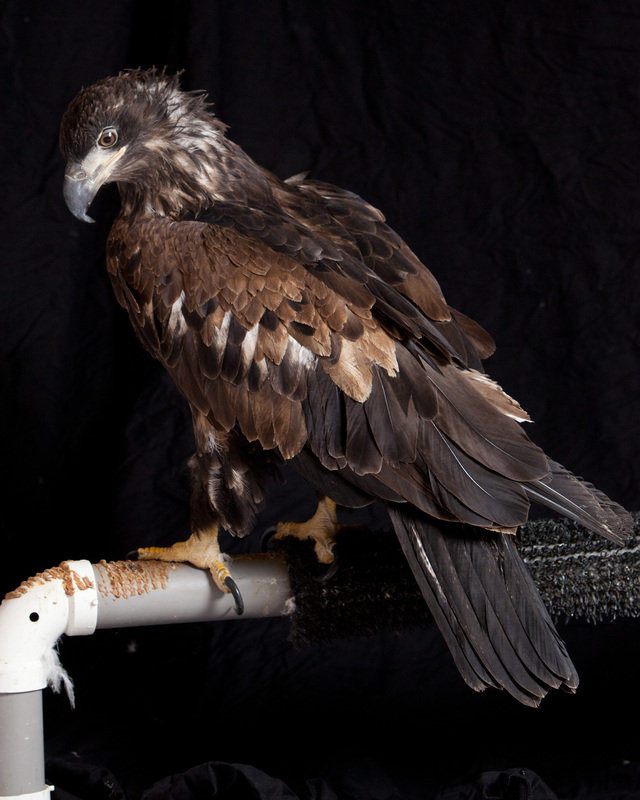 Emrys is a juvenile, about 2 years old, and he is also curious and fairly relaxed for an eagle. After much discussion, it was decided to give him a future here at TreeHouse as an ambassador for his species. It has been an amazing experience working with this bird and teaching him that he is safe around people. One year later, he is still in training and has gone out for a couple of programs and done very well! We are very excited to now have a Bald Eagle that is trained for outreach programs so that we can further educate the public at schools, museums, conventions, and other places! To celebrate having our first outreach Bald Eagle for one year, we are launching this fundraiser with a t-shirt of Emrys himself! All profits will go to the care of our wildlife patients that we admit on a daily basis. This is important now more than ever as we're entering into our spring baby season, our most expensive time of the year! How do we get all of these animals? Most of the animals we admit are injured or orphaned due to conflicts with humans. For example, we admitted a deer fawn whose mother was hit and killed by a car. Luckily, the people who were driving behind the other car stopped and called us immediately. We then stepped in and introduced the fawn to the other four orphaned fawns currently in our care. He grew up in a safe environment with other fawns his age and they were all released together as a herd in the fall. Every day more and more animals are becoming injured or orphaned as human populations expand. It is important that we do everything that we can to preserve our native wildlife for generations to come. In order for us to continue to care for all of these patients plus the patients coming through our doors on a daily basis, we need the help of people like you. If you would like to learn more about our center, please visit our website at www.treehousewildlifecenter.com or check out our Facebook page to see updates of our current patients. If you live in the area, you can also come out for a visit or sign up as a volunteer! We are open to the public seven days a week. Thank you so much for your support! Emrys will certainly appreciate it! 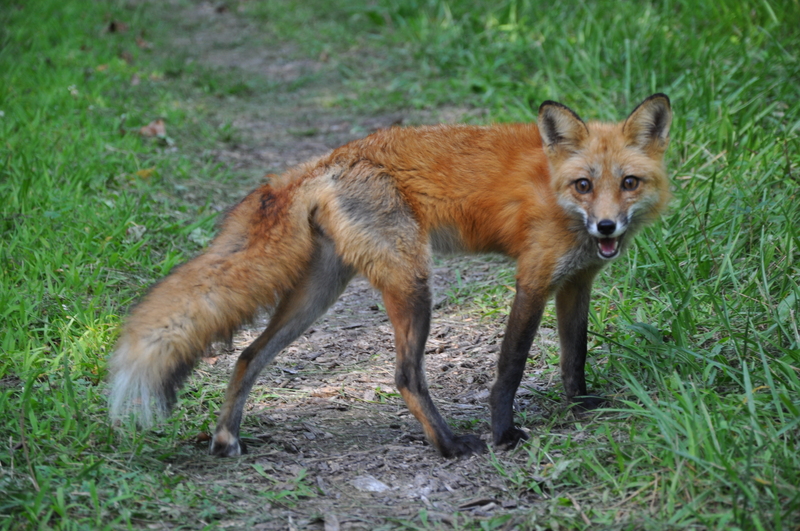 Your donations help save native Illinois wildlife.